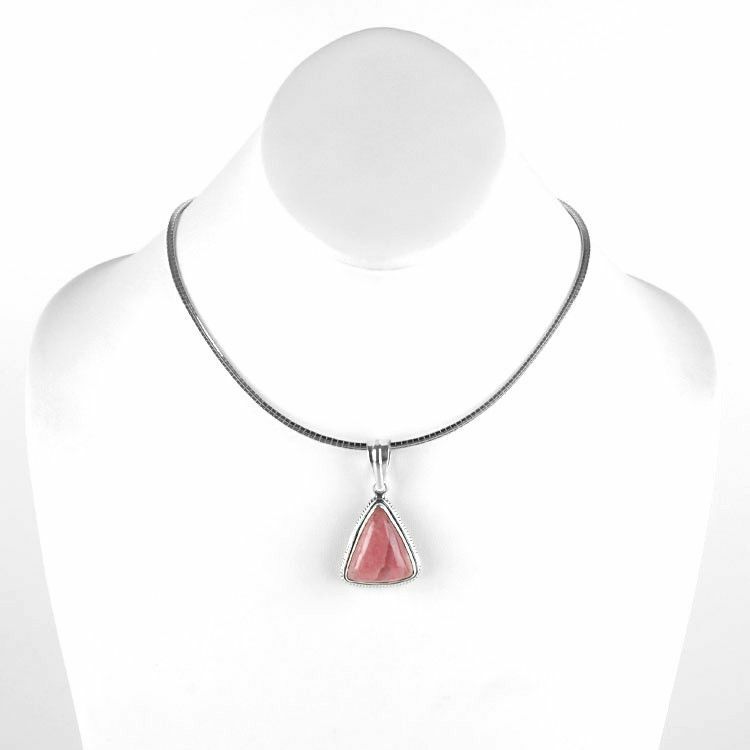 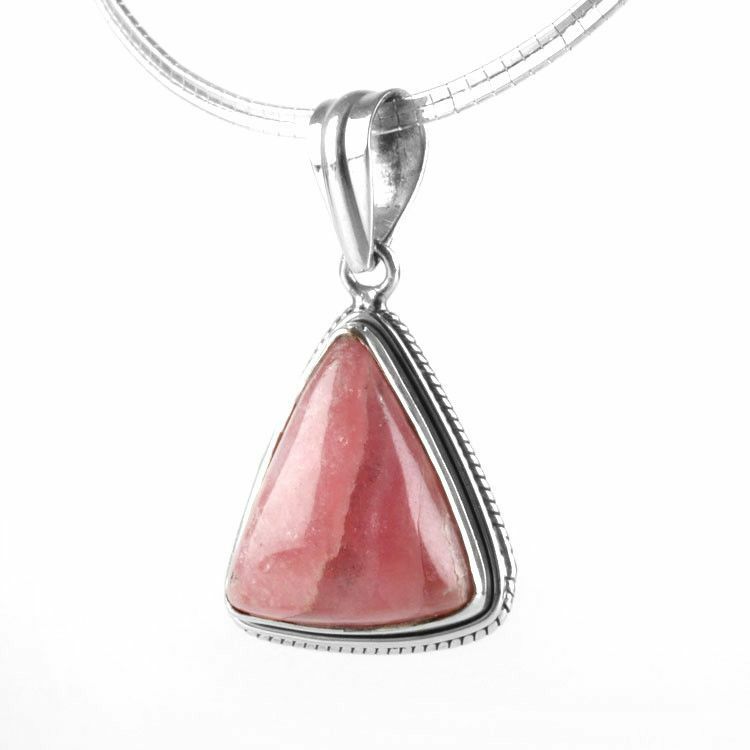 This triangle shaped rhodochrosite gemstone pendant is about 1 3/4" long and about 1" wide. 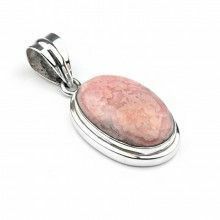 The natural pink stone was carefully hand-carved and polished to bring out its inherent beauty. 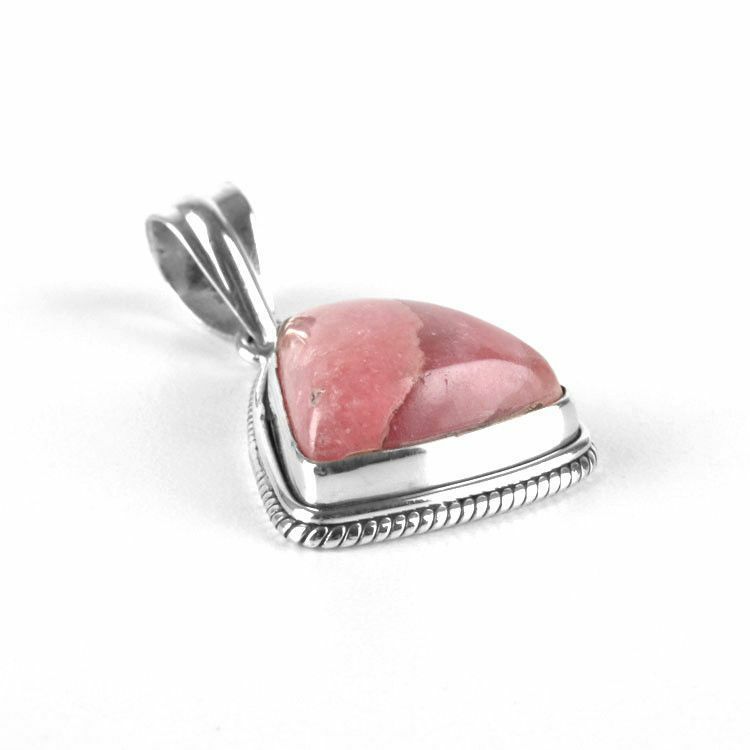 The striped gem sits in sterling .925 silver. 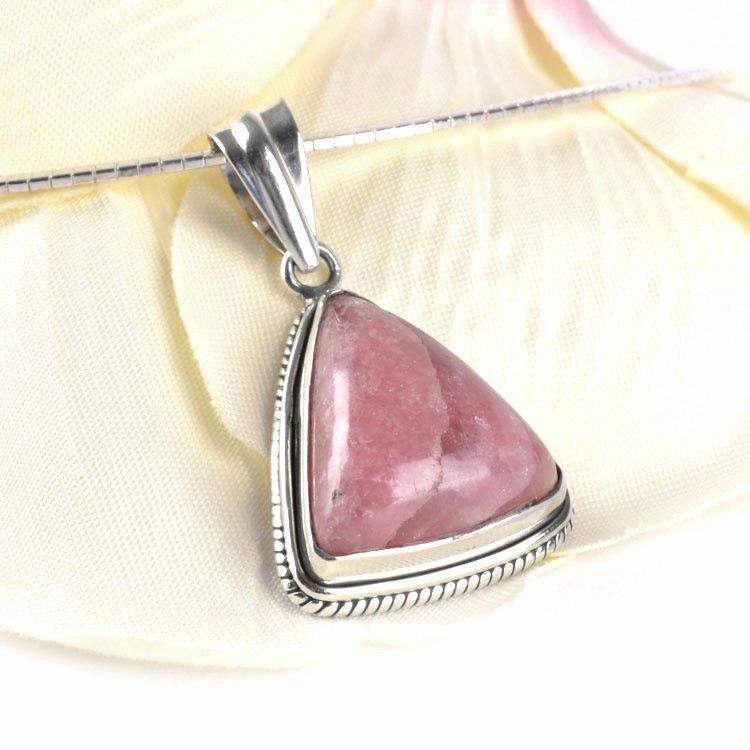 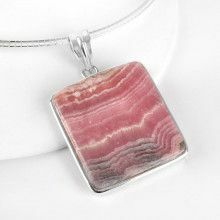 This hand-made pendant would make a beautiful addition to anyone's gemstone jewelry collection. 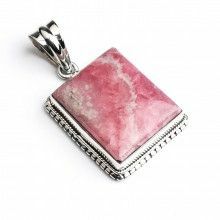 Total length is about 1 3/4"
Total width is about 1"